Hello everyone! It's not secret how much I love Yankee Candles. Everytime going past their store I have to pay a visit and this time was no different. When I saw summery bright colors out on the shelves I knew there will be something I won't be able to resist. Can someone explain me how do they come up with such an amazing scents every season? Like, seriously. It was so many new fragrances to try out! 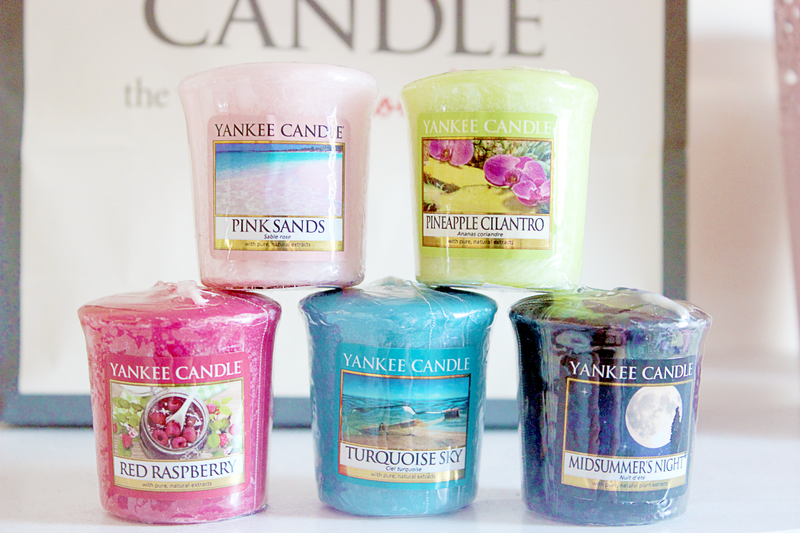 I picked few which I totally fell in love with right away: Pink Sands, Pineapple Cilantro, Red Raspberry, Turquoise Sky, Midsummers Night. Pink sands - very fresh, kind of sweet scent. It smells like clean and fresh bed sheets, in my opinion. Pineapple Cilantro - smells exactly like pineapple! So tropical and fruity, mouth watering fragrance. Red Raspberry - reminds me of that sour bubble gum we used to have as a kids. Absolutely love this smell! Midsummer nights - this literally smells like... a man! I mean, like aftershave or some kind of men's cream. I was smelling this in the shop and I thought to myself 'What the heck? ', but then I just couldn't put it down, so addictive! Turquoise Sky - this reminds me a perfume, but I can't remember the name of it! When I close my eyes and smell this candle I imagine myself on the beach in Bora Bora! Heaven! All of these new scents are incredible! They all smell so freakin' good. You need to try it yourself to understand what I'm talking about. In Yankee Candle store it retails for £1.80 which is quite expensive, as in bigger supermarket you can grab them for a £1! But oh well, it's definitely worth every penny! 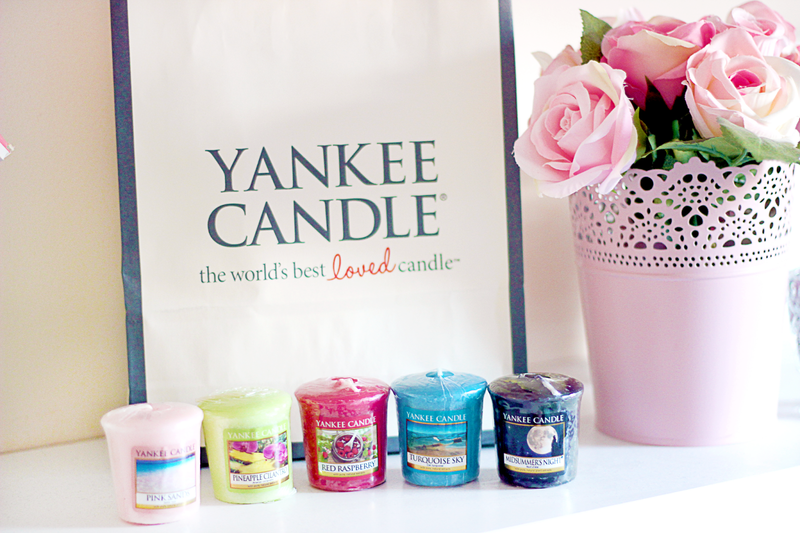 Ooo I love a good yankee candle haul. I bet that pink sands one smells amazing! I'll have to go to my local store and check those out!